This resource has been produced to accompany the exhibition, ‘Qwaypurlake’, at Hauser & Wirth Somerset. ‘Qwaypurlake’ is an exhibition curated by Simon Morrissey; it features seventeen modern and contemporary artists. The majority of the artists included in the exhibition have strong links to the South West of England, and some to Somerset itself. Some were born or died within the area whilst others are connected to the area through living here or producing work about the region. What is the theme of this exhibition? The exhibition presents a fictional reimagining of the Somerset landscape, drawing inspiration from the origins of the area to reconfigure an alternative reality, where human presence has been marginalized, or even expelled, and the landscape is dominated almost entirely by water. It has been suggested that Somerset’s very name derives from an Anglo-Saxon translation from Celtic which made reference to the fact that historically, large areas of the county were regularly subsumed by water in the winter months (Glastonbury Lake Village Museum has an iron age boat) and the land was only fit for habitation in the summer. The title of the exhibition refers to the road leading out of Bruton in the direction of Frome called Quaperlake Street, providing both a physical landmark as well as a fictional bridge between the area’s past and an abstract, dystopian future. Taking inspiration from a number of speculative fiction writers including Stanislaw Lem’s novel ‘Solaris’ (1961), ‘Qwaypurlake’ transports the viewer into a foreboding and uncomfortable new landscape; a world in which water is sentient, or conscious, much like the ocean that covers the alien planet in Lem’s fiction. Today, the role of the curator has developed significantly. Not only can it mean to preserve and look after art with an awareness of art history but to select and interpret new work. Curators display and arrange the artwork, and in recent times this means being responsible for creating an experience; something educational, meaningful, aesthetic and spectacular. The name of the curator for this exhibition is Simon Morrissey. What artists are in the exhibition? ‘Qwaypurlake’ brings together landscape photography, painting, sculpture, ceramics and film. These range from seminal twentieth century figures such as ceramicist Hans Coper, sculptor Elisabeth Frink and painter Peter Lanyon, to acclaimed British artists Michael Dean, Heather & Ivan Morison and Ben Rivers, and to distinctive new voices such as Sebastian Jefford, Marie Toseland and Kit Poulson. Many of the artists have strong links to the South West of England, some being born in the region, others working there, others dying only a matter of miles from where Hauser & Wirth Somerset now stands. Coper was a German born, British potter, who in 1946 started working as a studio assistant for Lucie Rie. He died in Frome in 1981. Unlike the functional ceramics of Lucie Rie, Hans Coper made much more abstract forms which have a more sculptural appeal. 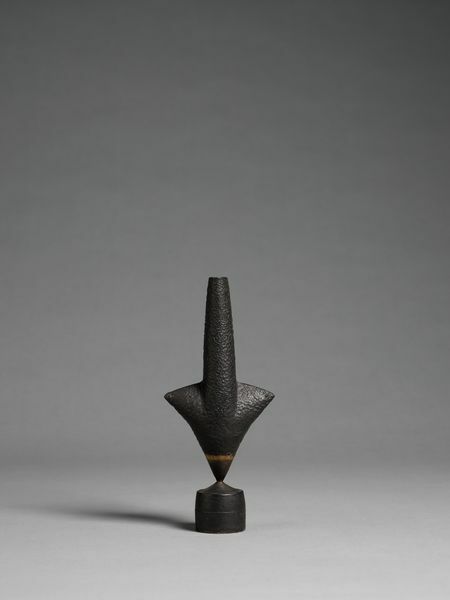 ‘Small Cycladic Arrow Form’ (1972), is one of Coper’s last bodies of work and is collectively known as the ‘Cycladic’ series. Within the series there were several variations on the repetitive ‘arrow’ form. These works are extremely rare, in 1975 Hans was diagnosed with Amyotrophic lateral schlerosis, his output had been very limited by this debilitating disease for some time but past this point it became almost impossible for him to work in any volume and the last pot that he completed was in early 1977. Deacon is one of the most successful and experimental sculptors of his generation whose work is ever resistant to the formulaic. Since 1980 Deacon has made a series of sheet metal and laminated wood sculptures in simple organic shapes, their surfaces congruent with their structure. Deacon considers himself a fabricator rather than a constructor and uses unformed basic materials to make sculptures that explore, by the use of metaphor, ideas that define human experience through language and the senses. Deacon was awarded the Turner Prize in 1987. He lives and works in both London and Wiltshire. ‘Path’ (2011), is a wall-mounted piece made of resin. Michael Dean’s works are often made from cast concrete or other industrial materials and suggest a direct physical relationship with the human body. His sculptural works evolve from his extensive writing, and an enquiry into language and its meaning; many of his works are remodeled words in the artist’s own three-dimensional fonts and are accompanied by short, poetic texts. Dean will show new human scaled standing/leaning concrete works for the exhibition, which will be scattered through the 4 spaces, moving from dark grey/brown works in the Threshing Barn through to a white concrete work in Rhoades Gallery. Frink was a major 20th Century British printmaker and sculptor. Part of the post-war group dubbed the ‘Geometry of Fear’, her range of subjects included men, birds, dogs, horses and religious motifs. She concentrated on bronze outdoor sculpture with a scarred surface, created by repeatedly coating an armature with wet plaster; each coating is distressed and broken, eliminating detail and generalising form. From 1976 Frink lived and worked near Blandford Forum in Dorset. In 1982 she was appointed a Dame of the British Empire. There are two ‘Bird’ (1966) pieces and ‘Head’ (1959) pieces in bronze in the exhibition. The artist Sebastian Jefford makes objects, paintings, images, installations, videos and web-based works – and often things that exist somewhere inbetween. 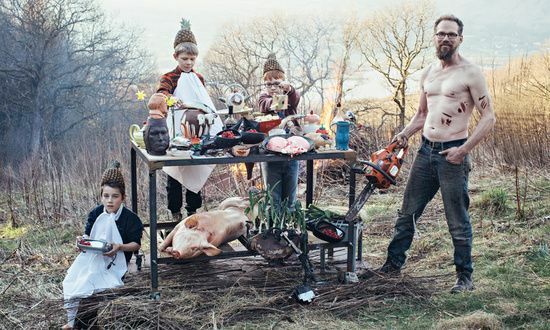 Frequently using humble DIY materials and domestic objects the work seems to straddle between an industrial coldness and slapstick crudeness. Jefford studied at UWE and is currently undertaking the Spike Island Studio fellowship. 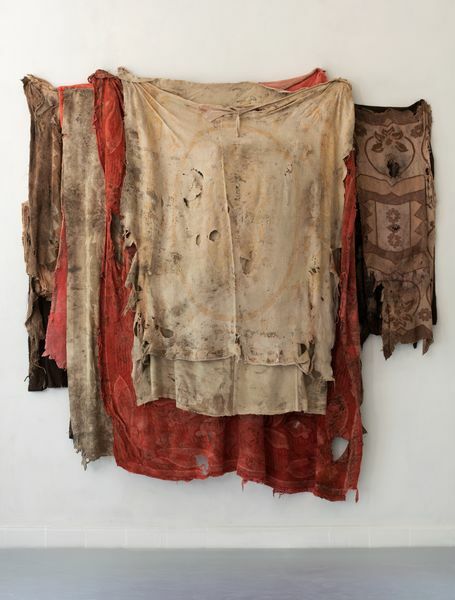 Jefford’s piece ‘Wattle and Daub’ (2015), is made mostly from netting and plasticine. Lanyon, was an English painter and sculptor whose work is central to any assessment of St Ives painting, since he experienced at first hand the influence of Ben Nicholson, Barbara Hepworth and Naum Gabo, when they moved to St Ives in 1939. However, Lanyon chose to make more direct reference to the local landscape. The tactile surfaces and compact, enclosed forms of his work of the early 1950s began to expand into a new flowing style on an increased scale, encouraged by his knowledge of Abstract Expressionism. Lanyon died in a gliding accident in Taunton in 1964. The painting, ‘Anticoli Snow’ (c 1953), demonstrates how Lanyon was influenced by his trips to Italy, and the ideas that he brought back to Cornwall. 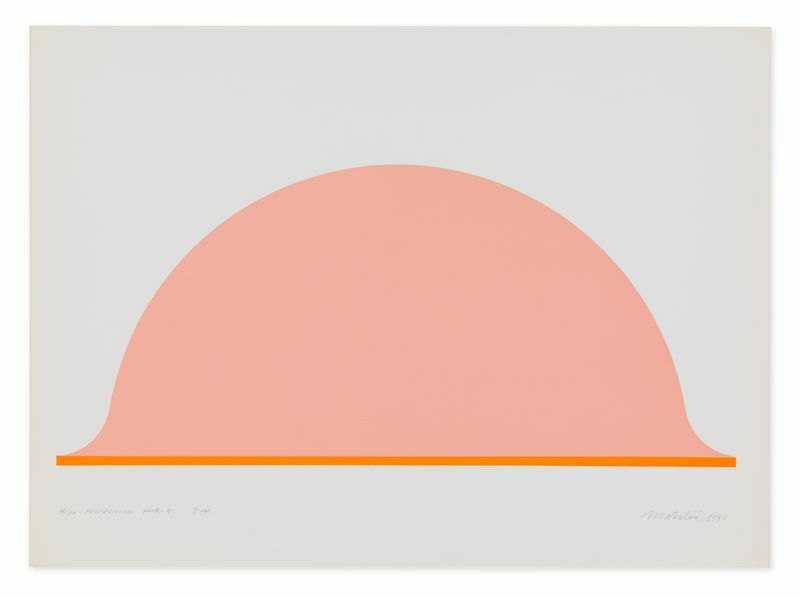 McKeever’s work is influenced by land art and especially by the writings of Robert Smithson, he first exhibited installations of large paintings that envelop the viewer, and that incorporate material taken from the wild. In the late 1970s, he began to make more gestural abstract paintings and in the 1990s he worked on large black and white canvases from a series made at his rural Dorset home, these show his use of grid structures and further demonstrate his interest in colour contrasts. There are three paintings from the series ‘Twelve – Standing’ (2009-2011). McKeever always works in groups. ‘Twelve-Standing’ (2009–2012) is a later body of work, that explores an increased paring down of discernible subject matter in the work and an emphasis on the quality of light. Heather and Ivan Morison have worked collaboratively for over a decade, their practice is concerned with the boundaries between art, architecture and theatre. They produce work from a variety of media and approaches; it is displayed both in the gallery and in public places. In 2007 they were awarded the Arts and Ecology residence commissioned by Situations, Bristol as part of the RSA and Gulbenkian Foundation Arts and Ecology Program. The installations in this exhibition were developed from their show at the Hepworth Wakefield gallery. ‘Misery Farm’ (2012-2015), draws on the life and works of novelist Anna Kavan – the organic materials used all refer to the landscape and the footprint of a farmhouse. Painting is the heart of Kit Poulson’s practice, however he has always been interested to explore other approaches; working with writing, live art, installation, sound and engaging in a number of collaborative works (often working with Alex Baker). ‘Silbersee’ (2015), is made from acrylic and oil on canvas and represents the artist’s turn to a much darker palette. Poulson and Baker, have been working together for 10 years producing live works and installations that explore the edges of sound, text, objects and movement. In the exhibition Poulson and Baker will create two new separate works, ‘Transmitter I’ and ‘Transmitter II’ (2015) are both metal bowls containing water and pigment and placed on top of wooden plinths. A low frequency sound exciter is fixed inside each wooden box to the surface just below the bowl level. The exciter sends vibrations made by sound through to the liquid causing movement and ripples. The box acts as a resonator, focusing the sound, much like the body of an instrument. James Ravilious was a British photographer, best known for his images of landscapes. Inspired by an exhibition of the work of French photographer Henri Cartier Bresson, Ravilious took up photography shortly after moving to Devon in the 1970s. His photographs were useful both as records for analysis on the countryside and a celebration of rural life. The exhibition includes eight of his photographs of rural landscapes from 1990. Ben Rivers is an artist known for his filmmaking; he deals with subjects such as invented futuristic visions to real-life subjects. Therefore his films are both documentary and fiction. 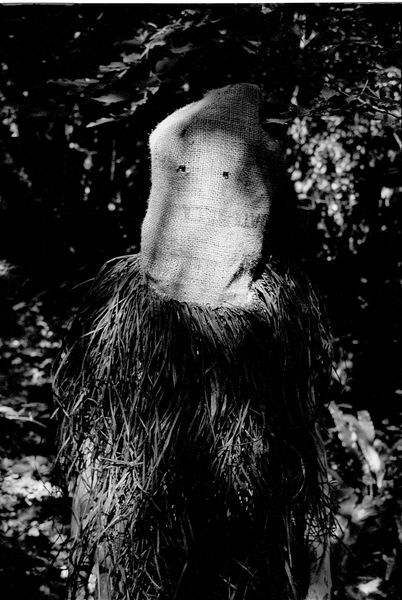 ‘Somerset Clade’ is a series of photographic portraits of the natives from a fictional undiscovered island, occupied by masked revolutionary clades. The photographs relate to Rivers’ award winning film ‘Slow Action’ (2011) in which Rivers applies the idea of island biogeography, the study of how species and eco-systems evolve differently when isolated and surrounded by unsuitable habitats. Aaron Schuman is an American photographer, editor, writer and curator based in the United Kingdom, who lives locally in Frome. He has built an international reputation as a photographer, with a particular focus on American and documentary photography. The three photographs included in this exhibition are from his series entitled ‘Summer Set’ (2012). Jem Southam was born in Bristol and is renowned for his series of colour landscape photographs, beginning in the 1970s and continuing until the present. He is known for his patient observation of changes at a single location over many months or years. Southam’s subjects are predominately situated in the South West of England where he lives and works. The works in the exhibition are from the series ‘Dew Ponds’, found mostly around the South West region. Marie Toseland uses a wide range of media to explore the contrasts between what is permanent and transitory, ambiguity and abstraction. She uses the process of casting which has an historical relevance to Victorian mourning as well as the immediacy of recording the real and living. ‘T€€TH’ (2014), is a unique work, created from the artist’s wisdom teeth and placed upon a small concrete tablet. ‘Mouthpiece’ (2013), is an edition of 3, and in two parts. The small sculptures are casts of the inside of the artist’s mouth – her palette. David Wojtowycz creates a range of works responding to the visual world around him and often refers to the merging of image and likeness. 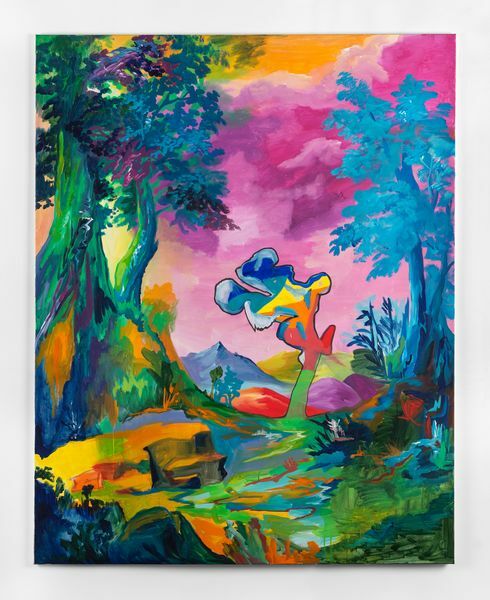 Wojtowycz’s environments are inspired by film sets, window displays, and magazine interiors and also recall sources in contemporary art such as the installations of Paul McCarthy and Mike Kelley. ‘The Lake’ (2012), is a haunting, characterless never-ending scene from a film, or possibly a title sequence without the titles. The film has the feeling of an aftermath or prelude. An eerie soundtrack beams out filling the whole of the floor. The droning sound mirrors the looping video; a plane of water behaves in a seemingly unnatural way, creating an atmosphere of beautiful uneasiness. Daphne Wright is an Irish born artist whose practice consists of casting, making, sound recording, filmmaking and drawing in order to examine unspoken human preoccupations. Wright’s work includes working with materials that range from plaster, tinfoil, video, printmaking, found objects and performance. 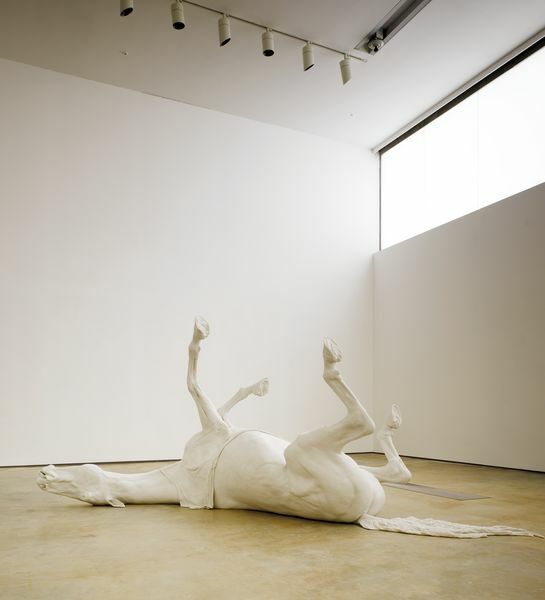 Sculpture works such as ‘Lamb’ (2006), ‘Swan’ (2007) and ‘Stallion’ (2009) consist of casts of dead animals that have been positioned by the artist and rendered in marble dust and resin. She currently lives in Bristol. 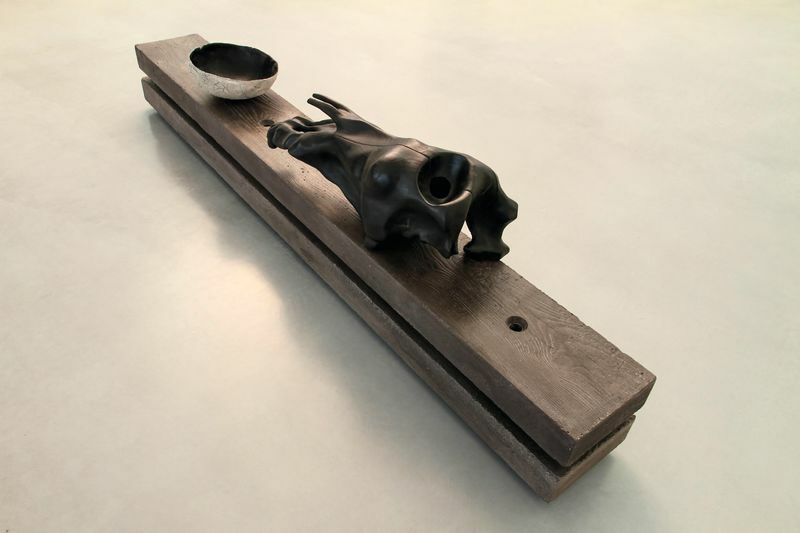 ‘Rabbit’ ( 2005) and ‘Pike’ (2007) are part of a series of animals Wright had positioned and rendered in marble dust and resin. ‘Stallion’ (2009) is a full size cast of a dead horse. The curator has reimagined a landscape dominated almost entirely by water and as visitors travel through the exhibition, water and electronic sound permeate the galleries. 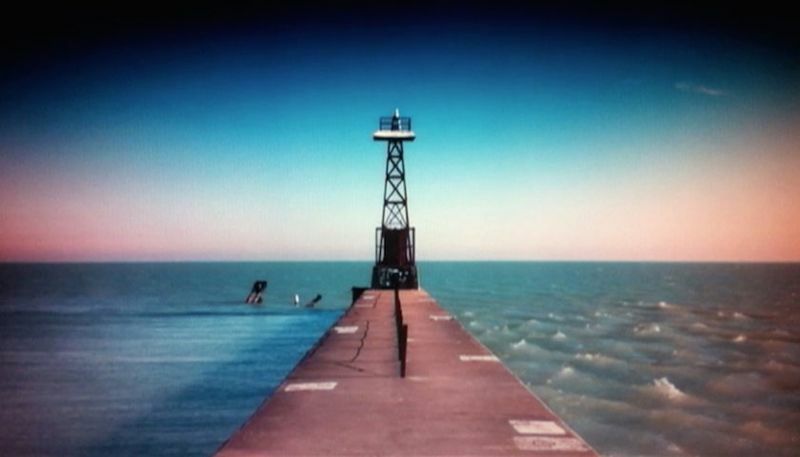 David Wojtowycz’s film depicts a pier cut into a body of water that moves in an unnatural way; on one side of the pier the water is calm and still, yet on the other, it swells and convulses whilst seemingly emitting an earthly sound that hints at language. Visitors will recall the dramatic flooding in Somerset from 2013 to 2014. The exhibition presents a fictional reimagining of the Somerset landscape, drawing inspiration from the history of the area to construct an alternative reality, where humans have been marginalised, or even expelled, and the landscape is dominated by water. The curator attempts to communicate with us – to tell us to retreat, to flee, to fear a folding of time where past will become the future. This is a future in which water will transform the peaceful English countryside into a rural hinterland, a foreboding interzone. A future where we will meet the Qwaypurlake. 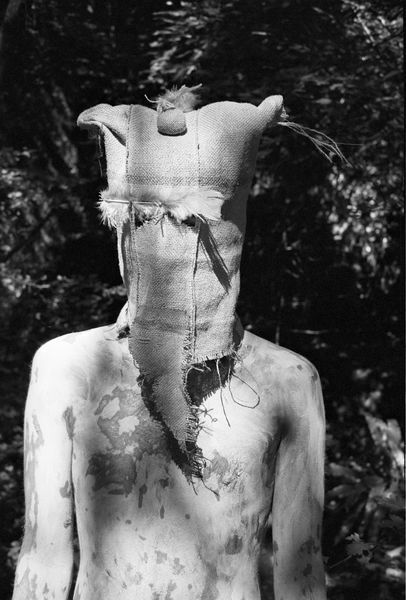 The exhibition present objects that may be viewed as totemic or ceremonial: the large standing forms of Michael Dean, the mutated hybrid creatures of Elisabeth Frink, Hans Coper’s cycladic ceramic forms and the constructions of Heather & Ivan Morison which fuse the functional with the ritual. Many of the works draw inspiration from the landscape, obscured and twisted, as with the paintings of Peter Lanyon, Kit Poulson and Ian McKeever, or recorded in photographs such as those by Jem Southam, Aaron Schuman and James Ravilious. The title of the exhibition refers to the road leading out of Bruton in the direction of Frome called Quaperlake Street, providing both a physical landmark as well as a fictional bridge between the area’s past and an abstract, dystopian future. The visitor slips between the real and imagined world, the past and the present. Artists such as Heather and Ivan Morison are concerned with the boundaries between art, architecture and theatre. The title of the exhibition is a play upon a familiar local word, reimagined to give a new meaning. Artists within the exhibition, such as Richard Deacon, Daphne Wright, Marie Toseland and Michael Dean use art to examine relationships with language, meaning and unspoken preoccupations. The rituals we follow for formal or religious events are referred to as ceremonies; they are ceremonial. Curators traditionally have the controlling hand in the selection and display of an exhibition. Dystopian is used to describe a society that has become really threatening or frightening, it is not a nice place to be unlike its opposite ‘utopia’ which is considered to be the perfect place. Fiction describes people, places, events, and/or complete narrative works such as books and films derived from imagination rather than from history or fact. In science a hybrid described the result of mixing two different plants or species. It is now used more generally to describe the bringing together of different, style, materials or methods of working. A term that refers to art that is created or assembled for a specific location, sometimes creating an entire environment, this can be within the gallery or in an outside space. Can mean two things: it is the word used to describe the physical features of the land, such as hills, mountains, forests and lakes, but is also refers to the style of painting, photography and other art forms that depict this subject. A form, symbol or object that serves to define or represent a group, family or clan. Note: You will need to bring pencils and a sketchbook. In one of the galleries that has a selection of artworks on display, split the group into pairs. Ask them to choose on artwork and really have a thorough look at it, then write down five words to describe it. In the whole group they share their words and the rest of the group have to guess which piece they are describing. How few pencil lines do you need to communicate a thing? Choose an artwork and try to capture it on your paper in as few lines as possible. Think about and discuss the things that you focused on. Negative space is the space that surrounds an object in space. Just as important as that object itself, negative space helps to define the boundaries of positive and negative space. Look through a viewfinder at the sculptures and rather than drawing them, try to draw the spaces around and in between them. Having spent time in the exhibition, without reading any of the text about the exhibition, encourage the group to reflect on what they have seen. Decide on common elements and themes, which they have identified. As a group decide on the decision that the curator must have made and what the theme of the show must be. What things do you find in a real landscape? What things would you put in your imaginary landscape? Make a 2D landscape using collage, or, make a 3D landscape using found objects. The theme of this exhibition is an imagined landscape, perhaps one from the future or another planet. Using magazines and newspapers collect images and photographs that you would select to go in an exhibition of your own on the same subject. You could make it into a poster, picture book or a PowerPoint presentation. How does the exhibition relate to other forms of visual cultures, for example film, science, theatre, ecology? Do you know of any other artists who create fictional landscapes? 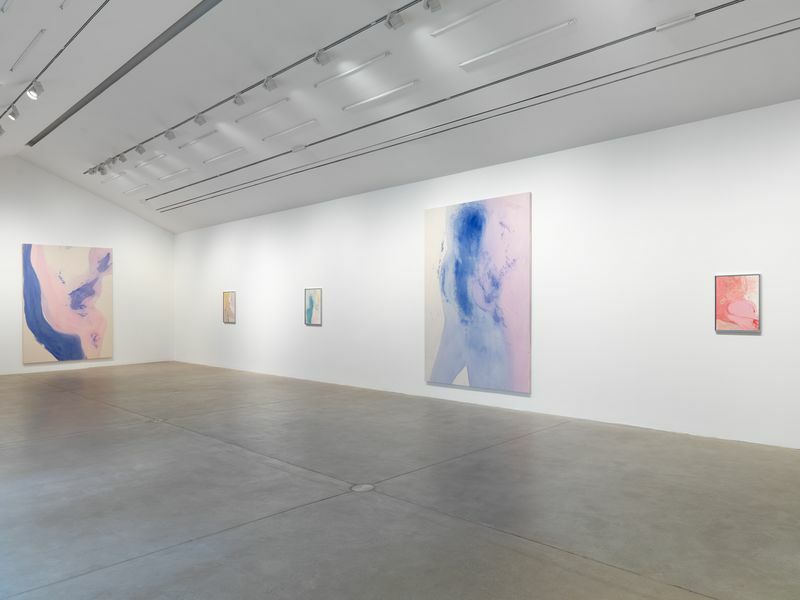 Why do you think certain works were displayed in the spaces they were? How might these create meanings? How would the artworks look in a different space, both inside and outside the gallery? What kind of information was provided at the exhibition – if there was not enough what would you suggest? A curator devised the exhibition; do you think it demonstrates a particular personality or approach? Discuss the reasons for your answer. What Are the Somerset Levels? 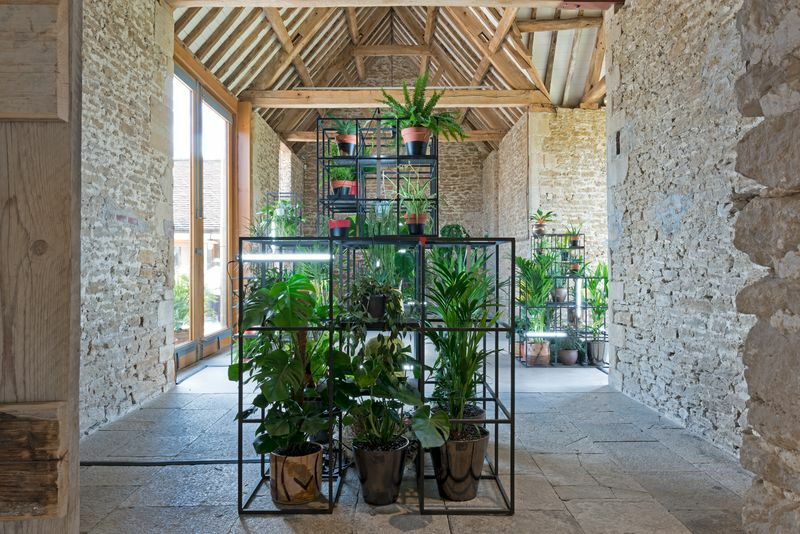 This resource has been produced to accompany the exhibition, ‘Rashid Johnson: Stranger’, at Hauser & Wirth Somerset.